Water Quality program from 2-3pm starting at Olsen Lodge (no registration required). Pre-registration required for float but not for the program. $10 fee includes canoe, paddle, life jacket rental, and shuttle (register here). Hilary Pierce, Iowa State University Extension Outreach Specialist, will lead a program about water quality on the West Nish. Click here to register for the float! 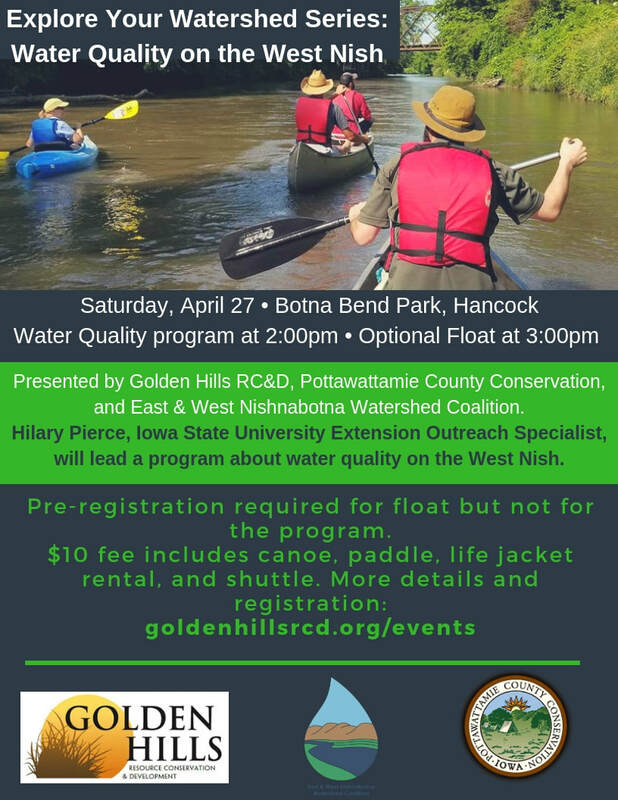 ​Presented by Golden Hills RC&D, Pottawattamie County Conservation, and East & West Nishnabotna Watershed Coalition. Contact Lance Brisbois with any questions.